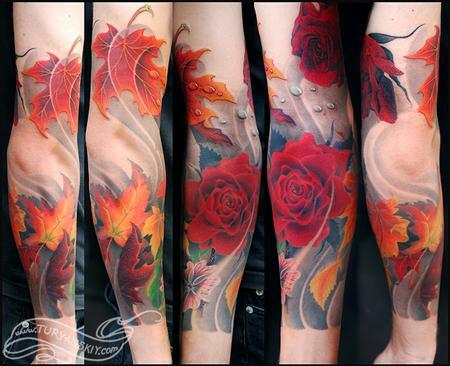 Color free hand maple leaves tattoo sleeve. About 27 hours. Healed. 2011.